There is no way to be delicate about this- I totes got fabric drunk in NYC. I’ve documented my exploits in good ol’ Spotlight on numerous occasions and we all know it is never pretty. So hitting the Garment District in New York was a little insane. So insane in fact I purchased a second suitcase solely to bring all my fabric purchases home. So as a warning- there is no sewing in this post but lots of sassy fabric eye candy. It was probably a good thing I only got to two stores rather than my planned three (time management fail) because I was already at the top of my suitcase weight limit. I hit Paron Fabrics first and it was wonderful. I’d read several blogs that had mentioned this as a great alternative to Mood Fabric and it was simply wonderful. 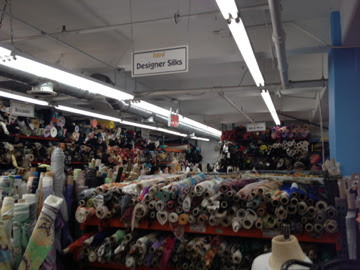 I spent a good two hours here pottering around, grabbing fabric bolts by the armful. 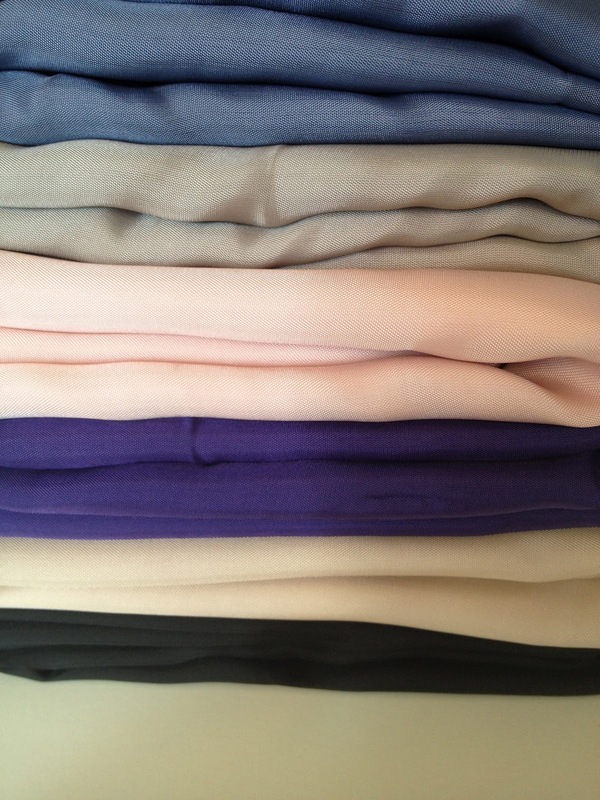 I made a stack of purchases here with some great rayon lining. I was so excited to find this- I simply cannot track any down in Australia. 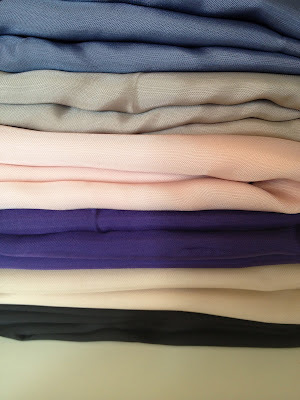 I went a bit crazy with this stuff and I think I have about 15 metres or so stockpiled in a few colours. Also here I found the most epic heavy cotton in a pink and white chevron print. I am thinking a 50s inspired sundress for this bad boy. The sad news was we discovered a flaw in the weave. The good news is I got it for a discount and a free extra yard to cut around. Win! And finally, the piece de resistance. I got my bubblegum pink wool for the epic cape I’m going to sew. This is going to be sassy! She is a merino wool and cashmere blend and feels like heaven. My other fabric store stop was Mood Fabric. This was crazy. Like, seriously crazy. There are three floors of fabric but I only hit two of them and that still took me almost three hours (the third was for upholstery fabrics and I was all about eyes on the prize). I mean, look at this place. I first hit upstairs for some wool for winter work wear. 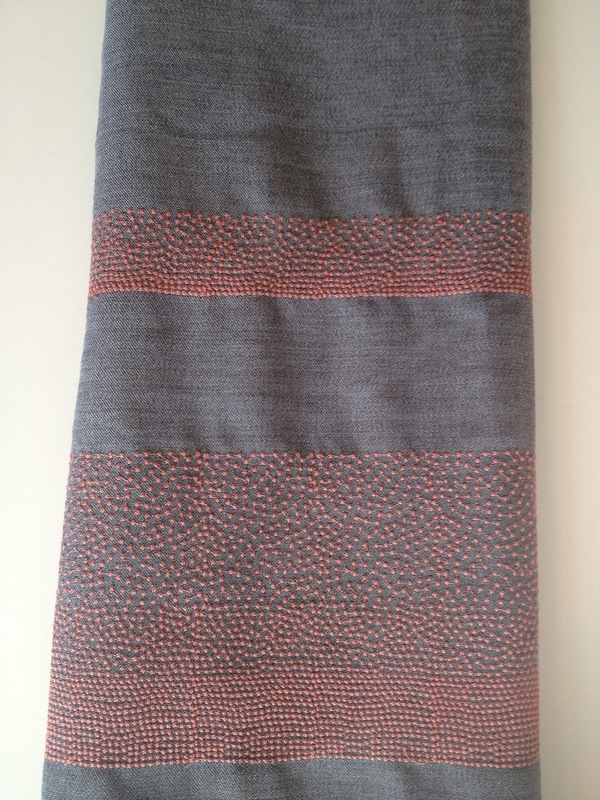 I scored this gorgeous charcoal wool for a wiggle skirt for a steal. Loves it. I then grabbed some of this “novelty wool” which is also 100% wool but has a gorgeous border print. This is going to look great with my cape once I have both the dress from this fabric and said cape made. I’ll call it a style win! My last wool of wonder is a glorious thistle-coloured knit that I am going to make some super comfy shirts in. And then went crazy in the printed silk section. I have some plans for gorgeous floaty blouses. Then I got distracted with the dotted swiss. Multi coloured polka dots and crazy blue geometric squares? WIN! My last two fabric purchases are both silk taffeta and are pretty special. The first is the most amazing soft blue and copper pebble effect silk. I’m planning on using this for the Simplicity Cynthia Rowley Pattern 1873. My last fabric I am planning for using for Gertie’s bombshell dress class on Craftsy. This fabric is the loveliest olive green but when it catches the light has a glorious brown/copper reflect. Stunning. And the craziest bit- when I went to get the fabric cut I found out it’s Oscar de la Renta. That’s rather fancy for a girl from Canberra, let me tell you. My last stop in the Garment District was Botani which I made with 10 minutes until closing. And you better believe I made the most out of that 10 minutes. I ended up with some epic giant buttons (possibly for the cape), some wee little flower ones, two bag frames (I have no idea how to make bags but these frames are all the encouragement I need) and some bag handle chain which I am going to make into a rad necklace. Win! By then it was too late to hit B&J but I felt like I had done pretty well for myself so wasn’t concerned. I then met the husband at Stitch Bar and Lounge for some white sangria (it was amazing!) and basked in the glory of all my epic fabric. And to finish things off, I had forgotten to show y’all the leggings I made for myself the night before I flew out. These were so comfy to fly in and the also garnered me a ridiculous amount of compliments. Last minute sew win! Ok, so now I want to go to new york! Looking forward to seeing what comes out of the new improved stash! Ellen, it was so rad for all kinds of fabric reasons (and others)!!! I’m thinking my first project is going to be the cape…. Ah-mazing. I’m jealous of your fabric haul, but looking forward to seeing what you make with it all! Thanks, Gillian! I have some plans for some of the fabric but with the rest I will see what happens! YES TO THE LEGGINGS!! SO MUCH YES!!! And I am stealing the term “cray cray”… okay.. that’s all.. bye! I will make it work, Tim Gunn and Emma! I am a little obsessed with the chevron, too! Great minds, Boo!